Active solar systems typically employ rooftop panels that collect heat from sunlight and store it in water of some other mediums. Photovoltaic cells, generally assembled into modules called solar panels, consist of a thin wafer of silicon or other material that emits electrons when struck by sunlight, creating an electric current (Miller & Spoolman, 2012). Solar panels also contribute to energy efficient practices at Heide. 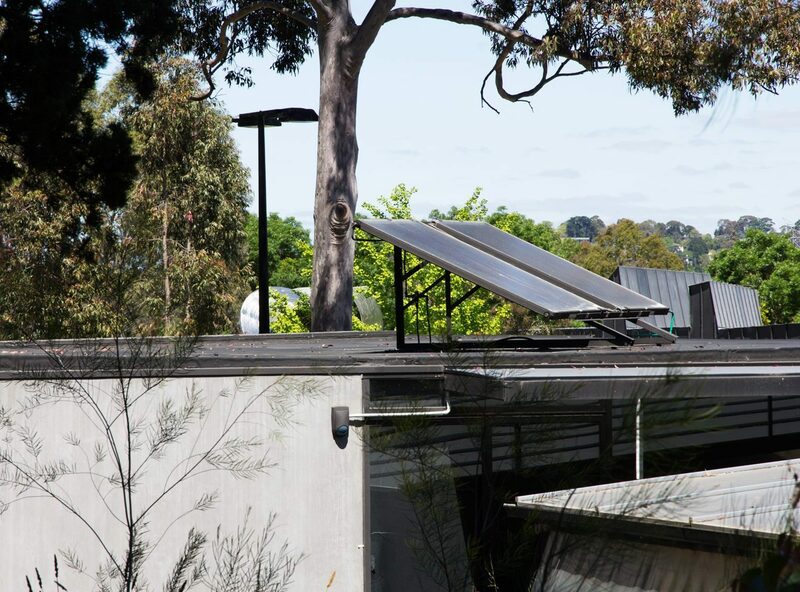 There are two solar panels on the top of Heide café that are used to heat water for hand basins and sinks across the site, contributing to power savings. Power saving is also complemented by LED lights, which use 15 watts of power. This is much less in comparison to the typical 70-100 watt light bulbs you might have at home. Each light saves 35 watts and has a lifespan of 30 years, compared with a one year life span of those which have been superseded (Heide Museum of Modern Art, n.d.). What renewable sources of energy can you think of? What are the most common types of energy that people use? Where do these come from? Why is it important that we use renewable energy systems? Can you think of any other ways that Heide could contribute to sustainable energy usage? What do you do at home or in your school, community to save energy? How could you improve on your current practices? What else could we do in our daily lives to contribute to more sustainable energy consumption?